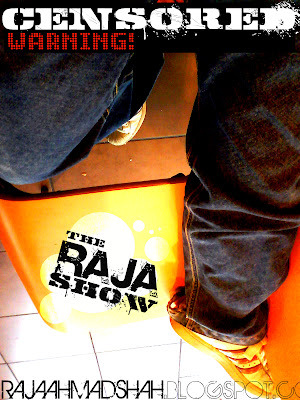 WELCOME TO "THE RAJA'S SHOW"!! Here with us today is Mr.Boredom, he is an entrepreneur and as voted by the Bored Mag- He could be the future of us all. RaJa: So, Mr.Boredom..welcome to the show. Please, tell us about yourself. Mr.Bored: What kind of a talk show is this? Where's the camera?! RaJa: Don't mind that..we're still new in this business. Now, tell us..what do you do for a living? Mr.Bored: Why are we sitting by the side of the road in Ipoh? Where's the studio? RaJa: We are currently looking for a studio which doesn't cost us more than 10bucks. Mr.Bored: That ain't a studio, boy. That's a store-room. RaJa: Fantastic. We shall call Raj, Navin and Sameer about that. Now, back to you. RaJa: You name says everything; this is BORING. Now, what do u think about the current situation at Pera...err..i mean Pantai Dalam? Mr.Bored: Pantai Dalam? Havn't been there. Heard it's lively over there. RaJa: Yes, it is. If you like street shows; ofcourse. RaJa: Yes. Now, to bring us the live coverage from Pantai Dalam..here's Syuieb! RaJa: How is it over there, Syuieb? Syuieb: It es vehry haut here..there is noh fan. But the show is going well. RaJa: Fantastic. Now, who are performing in the show today? Syuieb: Auh..there arh alot of performance. Mostly by thau tin-ajers (teenagers). RaJa: Brilliant. Now, with the weather report from Navin. Navin? 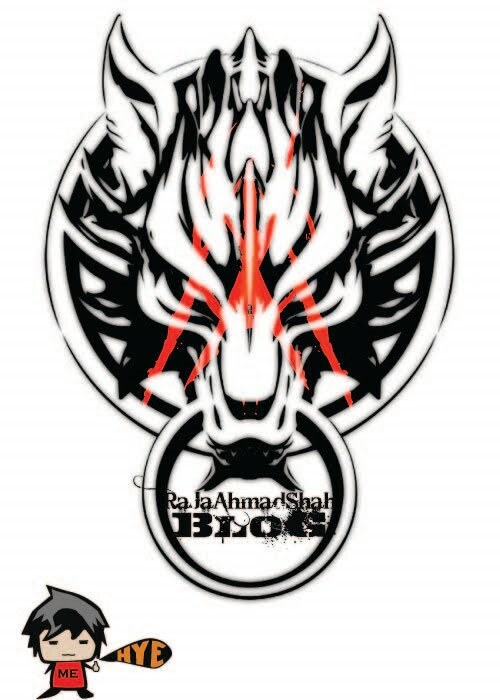 Syuieb: Aloh, ak dok abih lagi..mu doh tukor ogre. Cilako nyo Rajo. Mr.Bored: I believe i should say something..
RaJa: Owh..there is no respond from our weather-man, Navin. We'll be back next week with more interesting stuff for you! That's all for now. Tune in for the video version...coming soon in 2020. Thanks for wasting 3mins of your life. Bye.